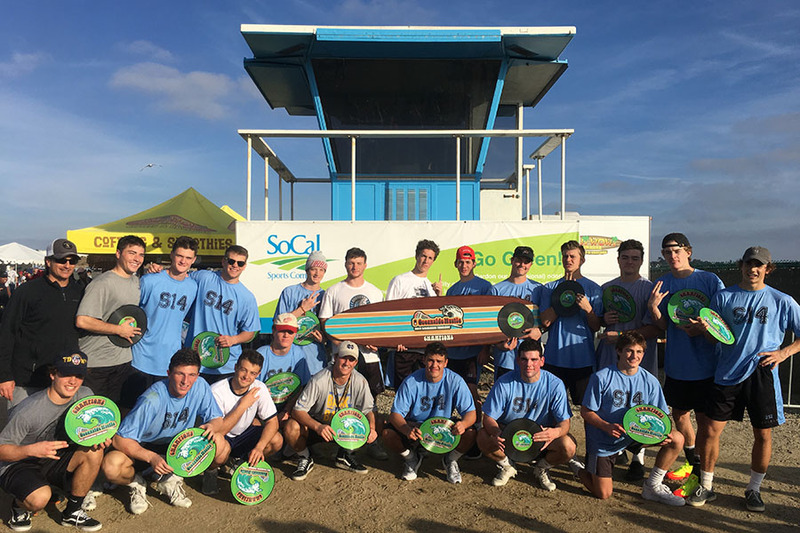 OCEANSIDE, Calif. — Twelve teams celebrated championships minutes from the beach this past weekend at 3d Lacrosse’s Oceanside Hustle, an annual boys and girls tournament held at the So Cal Sports Complex. 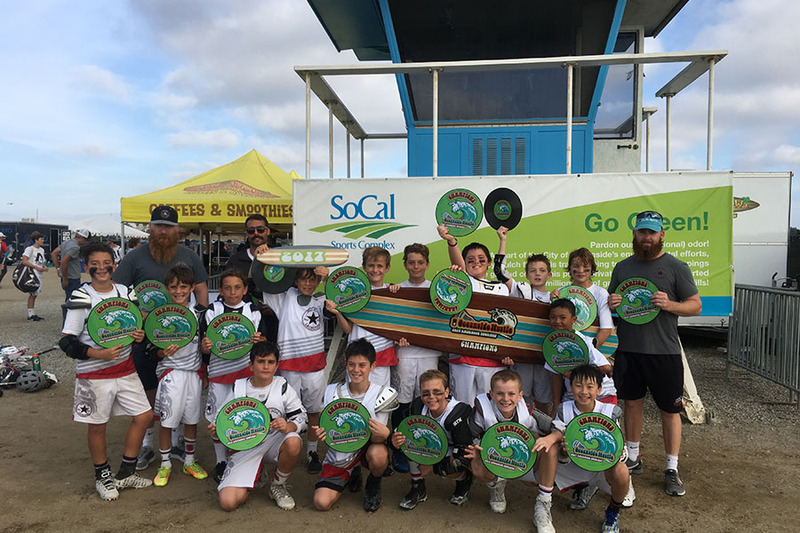 Started in 2014 with 74 teams, the Oceanside Hustle has doubled in size as the tournament — completely sold out for the first time — brought 120 teams to Oceanside last weekend to compete across eight boys divisions and four girls divisions. 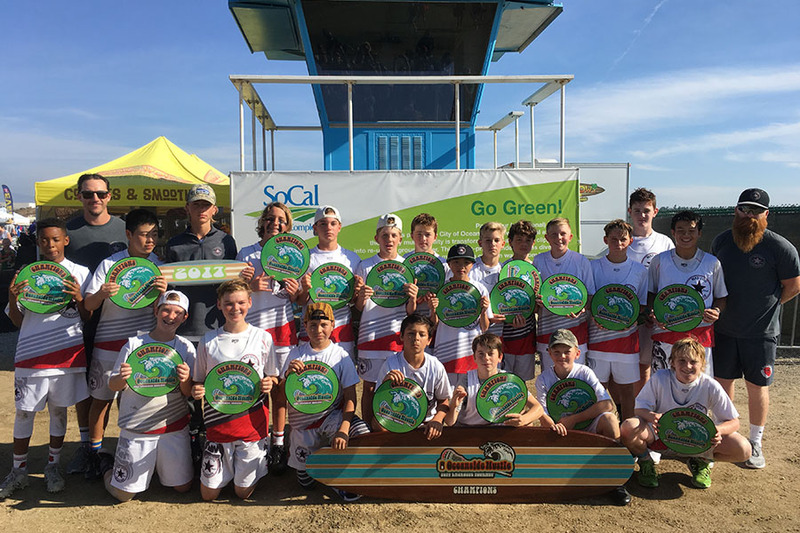 “It was pretty incredible to see the demand this year and the result was an incredible weekend of competition with teams from all over the country,” said Mike Bartlett, 3d Lacrosse’s Director of Events. 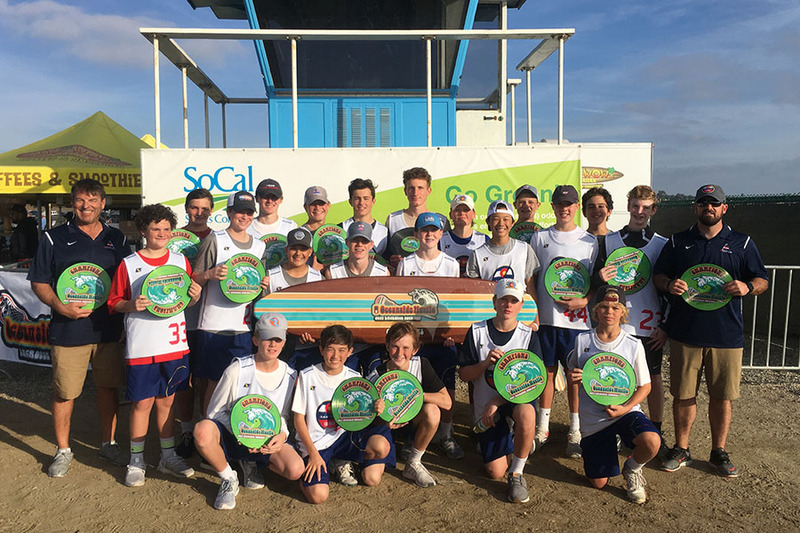 Bartlett said the combination of strong competition, a vacation-destination setting and an increasing number of lacrosse players on the West Coast has helped make the Oceanside Hustle a popular late-fall attraction for club teams from as far away as Chicago and Annapolis, Maryland. Family members packed the sidelines to support their teams Saturday and Sunday at the So Cal Sports Complex, where games were held on 20 different fields. Among this year’s championship winners, 3d Oregon and Mad Dog Lacrosse West each won three division titles. 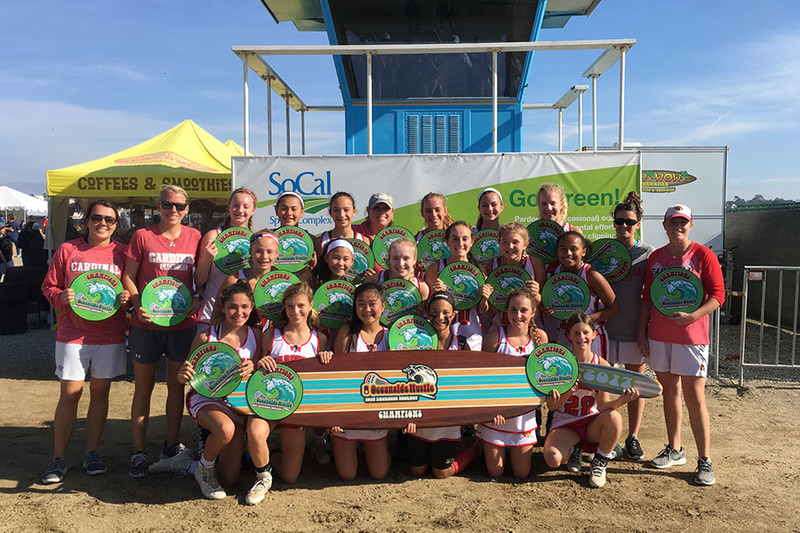 3d Oregon took crowns in the Boys 2021 Division, the HS Rising Girls Division and the Girls 2023/2024 Division; meanwhile Mad Dog West claimed the titles in the Boys 2023, 2024 and 2025 brackets. 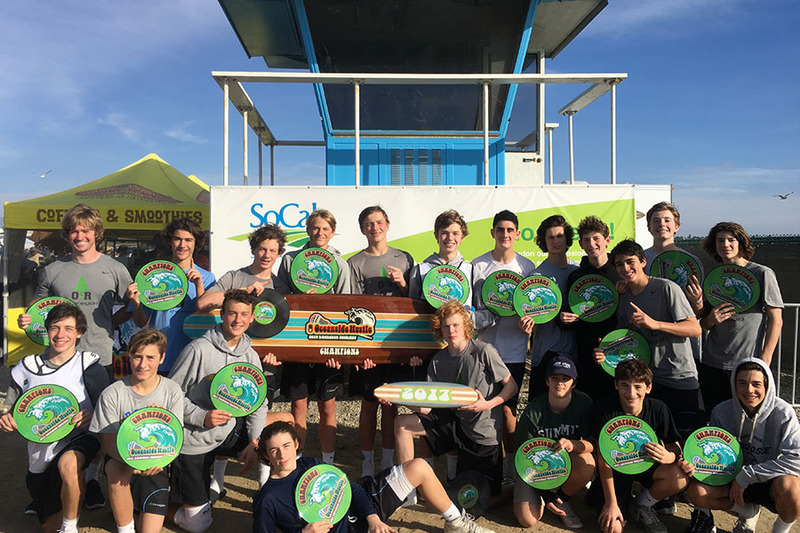 New Wave Lacrosse, a program based in Chicago, celebrated its first Oceanside Hustle championship this past weekend by winning the Boys 2018/2019 A Division championship. 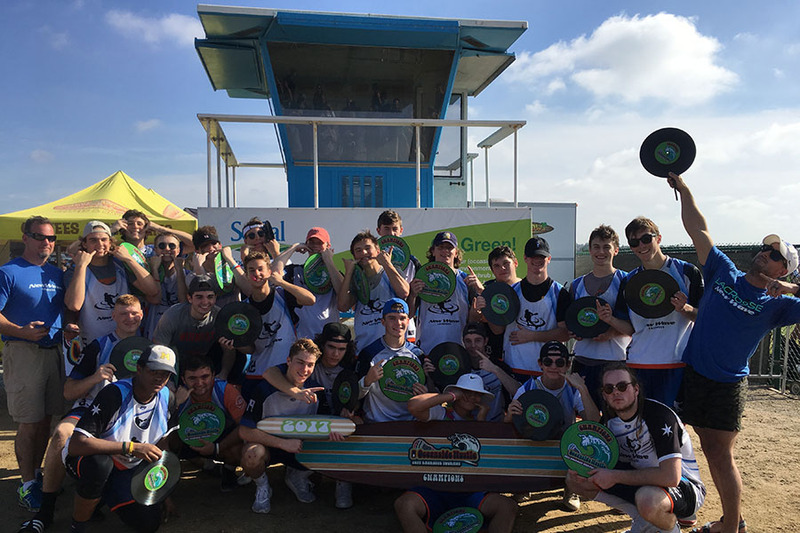 “The Oceanside Hustle is a well run event that we always enjoy coming to,” said Kylor Berkman, a coach for New Wave and a former college star at powerhouse Salisbury University in Maryland. 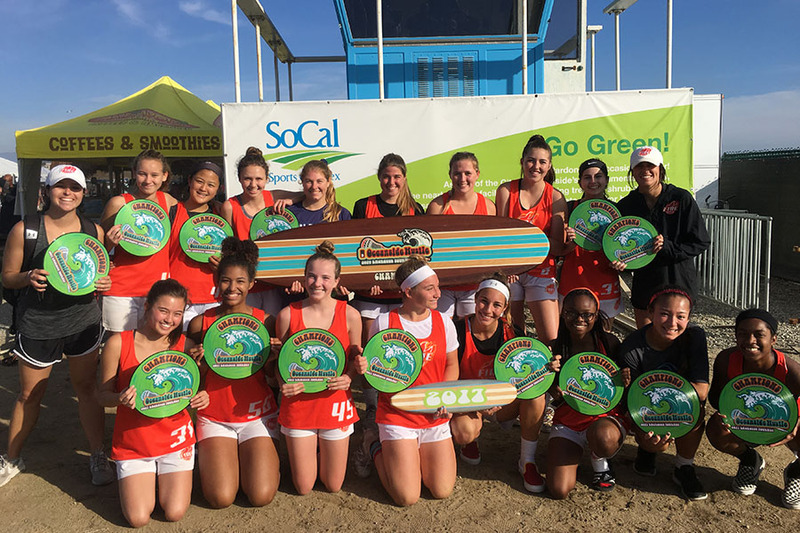 Fire Lacrosse, a girls program operated by the Santa Monica Dragons near Los Angeles, won the HS Elite Girls Division. 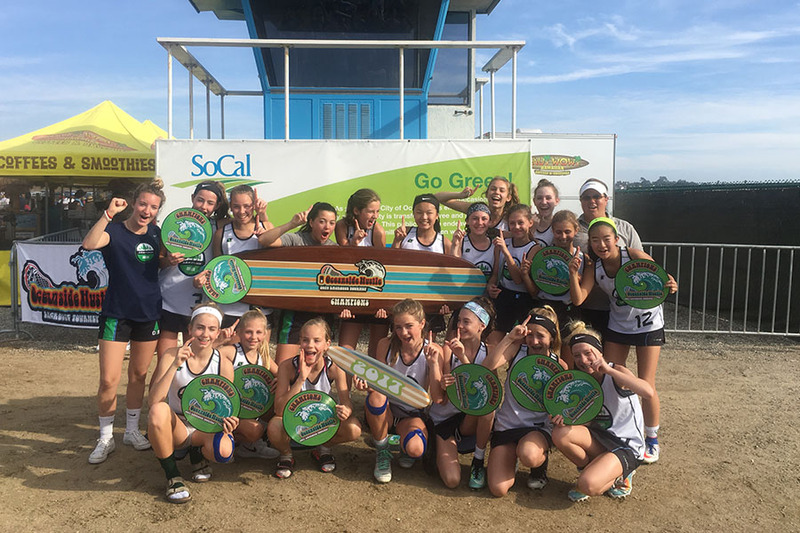 Meghan Toomey, Program Director for the Fire and a coach of the championship team, said that the Oceanside Hustle gave her squad the chance to compete against three teams that it had never faced, including teams from Oregon and Colorado. 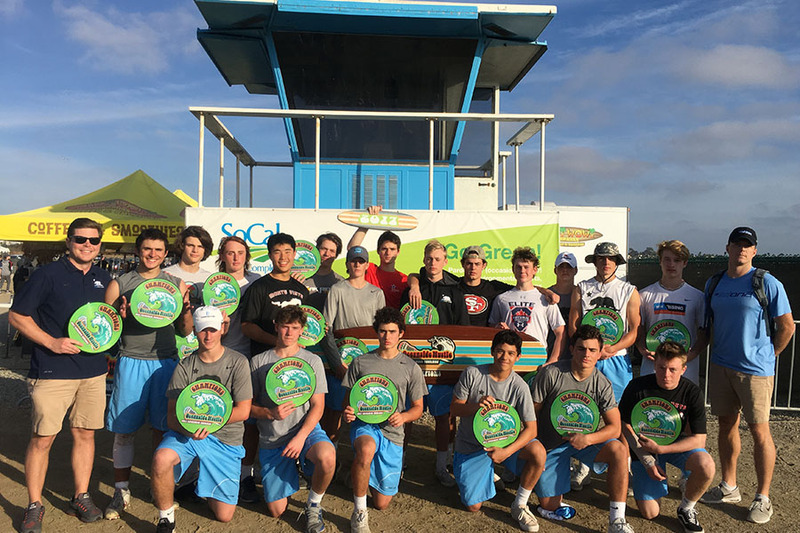 “Our first year attending Oceanside Hustle we only won one out of our five games — it was the first time our program ever participated in a fall tournament,” said Toomey, who played college lacrosse at Salisbury University. 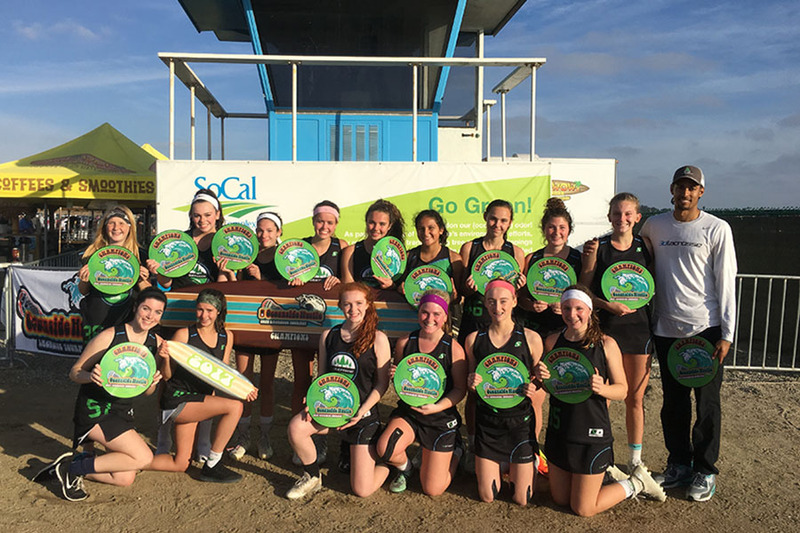 A first for the tournament, this year’s Oceanside Hustle served as a National Qualifier for the 2018 US Lacrosse Nationals to be held next summer in Delaware. The 2022 Boys Division (14U), 2023 Boys Divisions (13U), 2024 Boys Division (U12), 2022 Girls Division (14U) and 2023/2024 Girls Division (13U) each featured teams hunting qualification status for next year’s US Lacrosse Nationals and each of the champions in those brackets finished 5-0 on the weekend to help their causes. 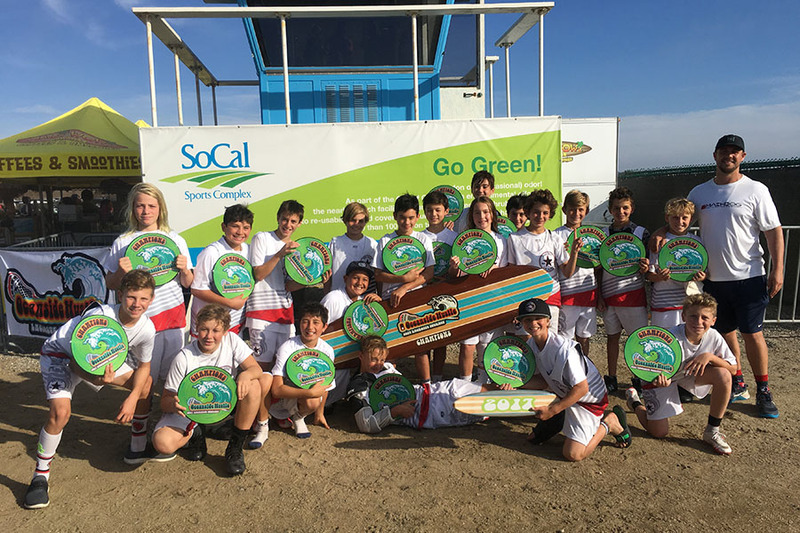 With so many youth players traveling to the Oceanside Hustle, event organizers scheduled an instructional clinic on Friday night to kick off a busy weekend. More than 25 colleges were in attendance as coaches led instruction on the field for about 100 girls and 100 boys from around the country. By the time action got underway Saturday morning, more than 50 college coaches had checked in at event headquarters. “Like with any 3d Lacrosse offering, we’re always incorporating training opportunities to allow attendees, especially youth players, to get more value out of a weekend with us,” Bartlett said. Bartlett, who played lacrosse at Mercyhurst University and spent more than three years as a Manager in 3d Lacrosse’s Events division, said the company couldn’t keep growing tournaments like the Oceanside Hustle without having strong relationships with 3d’s partners as well as with vendor and lacrosse businesses throughout the nation. “Partners like STX Lacrosse, Elevation Video, Lax.com and Stylax help us create a special 3d Events experience that so many people have come to appreciate,” Bartlett said. For more information on 3d Lacrosse’s lineup of national and regional events, including the 2018 Oceanside Hustle, visit 3dLacrosse.com/tournaments. 3d Lacrosse is the nation’s fastest-growing lacrosse services company, offering innovative training, premier events, select travel teams, showcases and leagues for boys and girls ages six through 18 at all levels of organized competition. Founded in 2009, the Company trains more than 35,000 athletes annually using its proprietary Box-Field Hybrid™ Development System that combines the tight stick-handling and ball control of box lacrosse with the team-based field strategies used in Division I college programs. In addition to lacrosse-specific training, professional coaches help players develop lifelong skills, including dedication, teamwork and critical thinking under pressure. Based in Denver, 3d Lacrosse also has offices in Annapolis, Atlanta, Boston, Buffalo, Dallas, Hartford, Houston, Los Angeles, New York, Portland, Rochester, San Diego, San Francisco and Westfield, N.J. Learn more at 3dLacrosse.com. Find the company on social media using #3don2 and #getbetter.